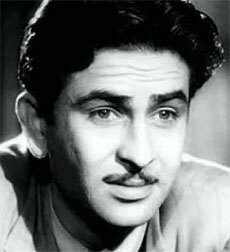 Raj kapoor was a famous actor, director, producer of Hindi films. Ranbir Raj (Raj kapoor) was born on December 14, 1924. He was the son of Prithviraj Kapoor, who was also a famous actor. For more than fifteen years, he remained an evergreen hero of the Hindi films along with his contemporaries Dilip Kumar and Dev Anand. He launched his own R.K films banner. Nargis and Raj duo made a popular team and they drew huge crowds. His films are considered as valuable contributions to cinematic art. His famous films are 'Awaara' (1951),' Shri 420' (1955), 'Sangam' (1964), and 'Mera Naam Joker' (1970). Raj Kapoor was the only Indian actor-producer who carved a niche for himself across the continents. 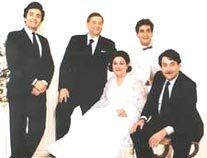 Raj Kapoor won many awards during his life time. Apart from many film fare awards, He won grand prix award (1957), Padma Bhushan(1971), and Dada Saheb Phalke Award (1987). Some of the well known films directed by him are Bobby(1973), Satyam Shivam Sundaram(1978). He died in 1988.